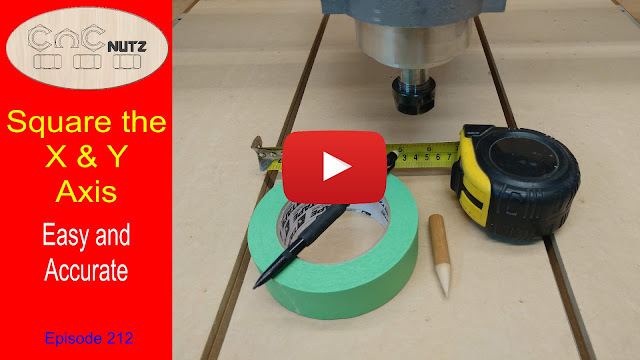 Like tramming the Z axis on your machine to be square to the tabletop, Squaring the X and Y axis is another job you need to complete for your machine to cut accurately. The biggest problem with this is it isn't as simple as grabbing a square and checking it. Machinists squares are far too small for this task and builders squares are not really accurate enough. Even if it was then on a large machine like mine even a builders square is too small and there is nowhere I can put it to reference square from anyway. This is true of most CNC machines but none the less it has to be done and done accurately. If your X&Y are not square to one another then nothing you cut will be square. The good news is that it takes very little in the way of technical knowledge and tools to set your axis up square and when you are finished it will be super accurate. For this we will use Pythagoras's theorem but don't worry if you aren't good with maths. This method is used all around the world by builders to set things up squarely when it isn't possible to use a builders square. If you wanted to set up boxing for a large pad for a building you would use the 3,4,5 triangle to lay everything out and this is also the best method for us to use on our machines. The bigger the triangle we use the better. 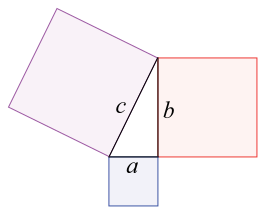 Each side of the triangle can be multiplied by fixed amount and the result will always be correct. In the Video I multiply each side by 200mm giving me 600 x 800 x 1000mm but I could have just as easily used 8 inches which would have given me 24 x 32x 40"
If my table had been a bit larger I could have gone 3 x 4 x 5 foot. So long as the same multiplier is used for each side then it will hold true. Now I have square what do I do with it? This process is something you only want to do once so when you finally get it set right you need to have a simple way to resetting it each time you use your machine. There are 2 methods for doing this. You can either set your hard limits to be a reference or set up auto squaring. This is my preferred method to square my axis. Simply engage the Estop and manually pull the gantry toward the front of the machine until it rests on the Hard limits. Then release the Estop and it is done. Of course if you are using leadscrews then the gantry needs to be driven into the hard limits as you cannot pull against the screws like you can on a rack and pinion machine. No matter how good people think having homing switches are, and I have nothing against them, you still need to go through this process to establish what is square in the first place. From there you can position the homing switches for the auto square. Don't forget to test the auto square feature after setting them up to make sure that all is working as it should. You need to ensure that both your X and Y axis are moving exactly the correct distance or your results will be meaningless. If you find that they aren't then use the calibration tools built into Mach3 or UCCNC to correct the error. If you are using control software that doesn't have a calibration feature then manually adjust your steps per unit until the axis move the correct distance. I recommend you use a steel ruler rather than a tape measure as a ruler is easier to manage. In the video I used a 1000mm rule so that is why I chose to make the longest side of the triangle 1000mm. If you need to use 2 rulers as I did in the video then make sure that the units of measurement are the same on each by comparing them against one another. I have seen instances where some rulers are not the same. This isn't a problem as such so long as the divisions on the ruler are even and you use the same ruler for all measurements but it is a big problem if you change rulers part way through. I don't recommend you use an engraving bit for this as the point on them are off centre. The pointed stick I made only took a minute to make and was ideal. I left is about 0.5mm or 0.002 of the table top while jogging around. Just high enough to get the tape under. While I was doing this video I found that already having the cross drawn on the tape and sliding it under the point was the best way of doing it. It is unbelievably easy to do and accurate. In the past when doing this I either jogged the point over the cross at the starting point and tried to draw the cross under the point at the end. Both methods very frustrating, time consuming and inaccurate. Is is really handy once you have your machine square to run a cutter down the sides of your spoilboard to give yourself reference edges for setting stock on the table and other things. I hope you find this information useful and can get your machine set up nice and square. Don't forget to tram your Z axis as well or you will only have done half the job. For he machine to work right you need to have everything set right. If you want to know about tramming your Z axis please follow the link below.